A short day close to town. 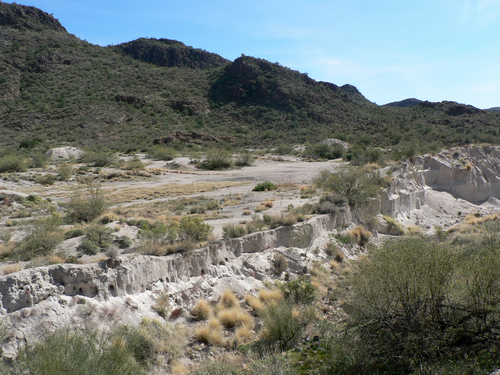 Easy Jeep trails that take you to an abandoned gypsum mine and also quite close to the Superstition Mountains. The main trail is 2.0. 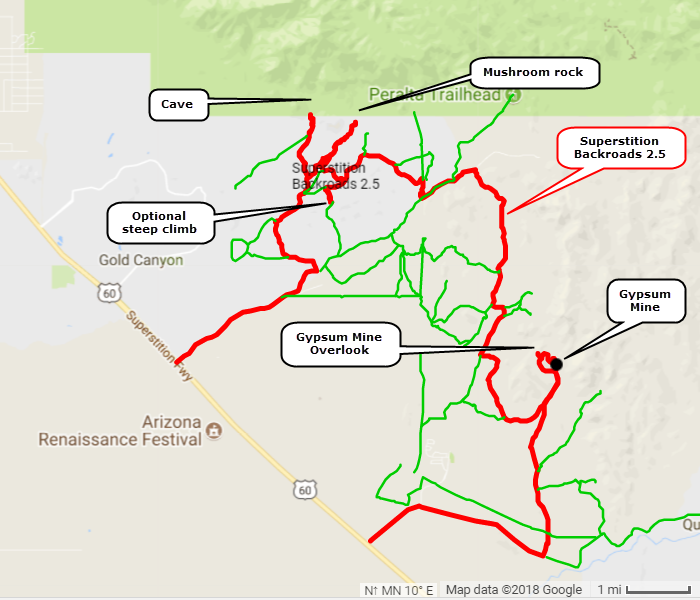 A short optional climb is 3.0 and the Gypsum Overlook Loop is 2.5. 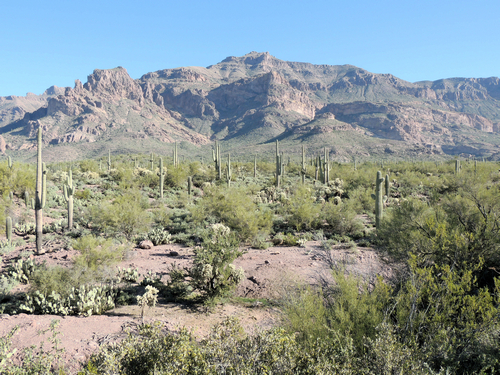 The western end of the trail is close to the Superstition Mountains. 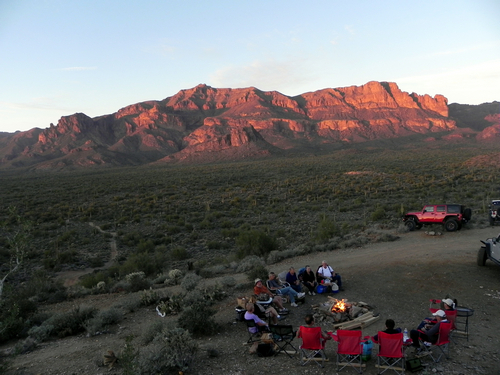 There is a picnic site at the top of the optional climb where we occasionally build a campfire and wait for the full moon. 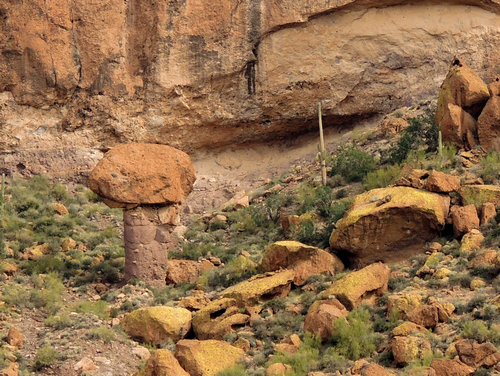 Look for a mushroom rock from one of the north spurs and a cave on the other. 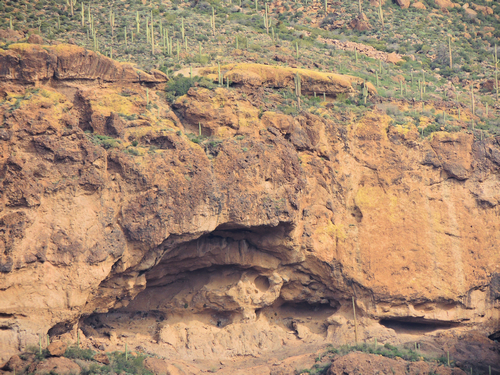 The cave looks like it should have cliff dwellings. There is an optional 3.0 hill climb up a steep hill. 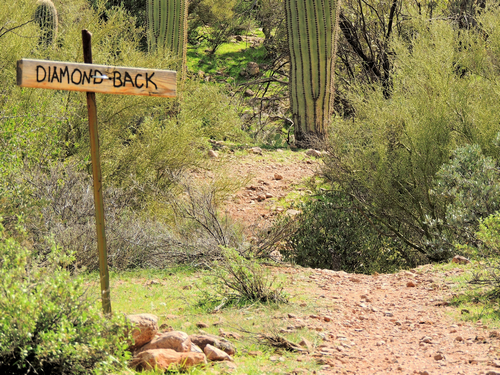 This area has a GREAT series of mountain bike and hiking trails. 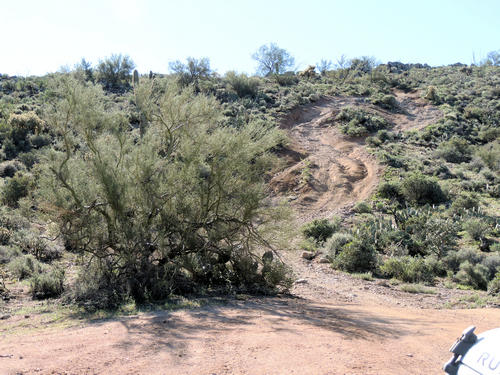 If time is short you can just do the section west of Peralta Road. This is the most interesting section, but the east part is also worth the trip. 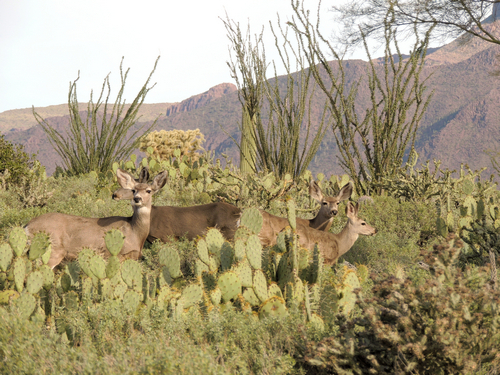 You may even be lucky enough to see mule deer along the trail. 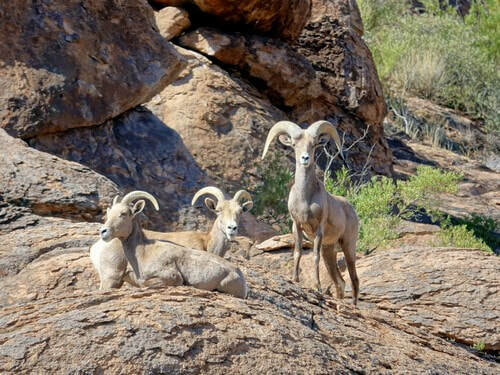 You may also see Bighorn Sheep on the low part of Superstition Mountain. These were at the end of the western spur. Mule Deer along the trail.